View of a third Greek inscription lying among the ruins of ancient Thyatira. 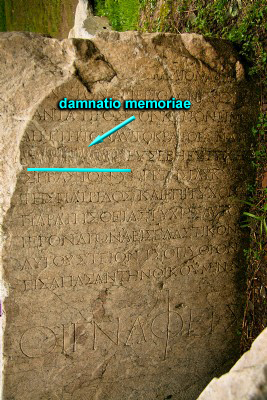 On the fifth line from the top, notice how the emperor's name has been scratched off the inscription (damnatio memoriae)! Probably the removal of the name of the not-too-popular Domitian (r. A.D. 81–96).